A few days ago I went out and bought Fallout 3 having heard that its a good game to try if you like the S.T.A.L.K.E.R. and Metro series games. 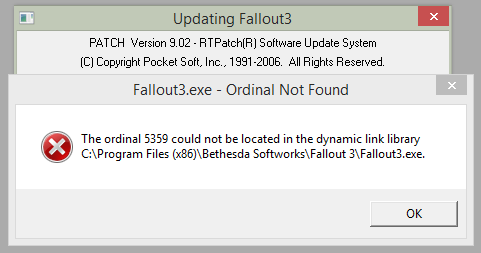 The ordinal 5359 could not be located in the dynamic link library C:\Program Files (x86)\Bethesda Softworks\Fallout 3\Fallout3.exe. The simple and easy fix to this problem? Download, install and login to the latest Games for Windows Marketplace Client. You can download the client from this link here – http://www.xbox.com/en-GB/Live/PC/DownloadClient. 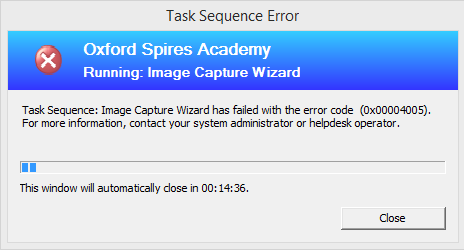 Task Sequence: Image Capture Wizard has failed with the error code (0x00004005). For more information, contact your system administrator or helpdesk operator. 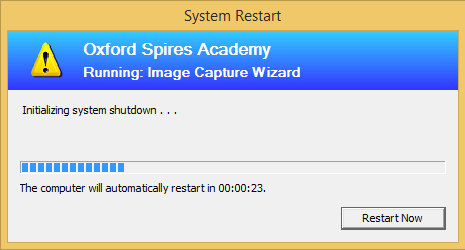 The image was as normal as any other Windows 7 image that I had captured and included Office/some LOB applications. 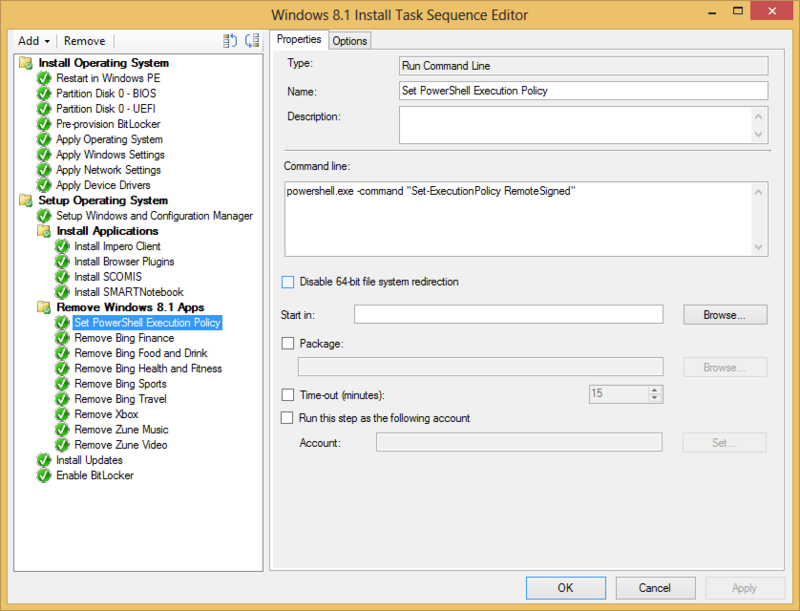 In addition I had used a powershell command to remove some of the built in Windows 8.1 apps. 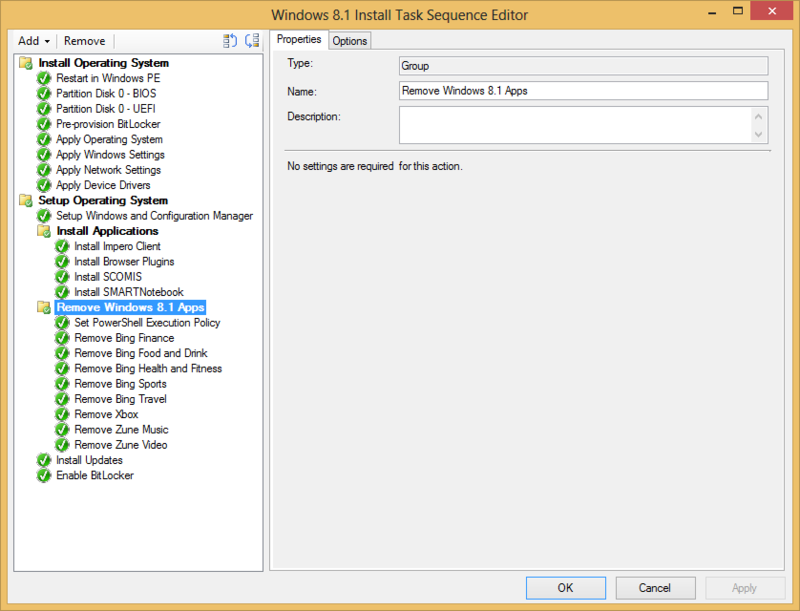 As it turns out this error message was being generated by sysprep as I hadn’t removed the Windows 8 applications in the supported manner (as detailed here – http://support.microsoft.com/kb/2769827). As a work around I decided to capture the image with the apps included and then remove them as part of the SCCM task sequence. To see how I did this take a look at the screen shot sequence below.